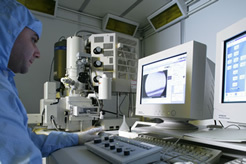 Sensing and Measurement is perhaps the most fundamental scientific capability required and utilised by society: it impacts on all areas of life from integrated atomic clocks for GPS location, through the myriad of chemical and physical sensors found in science, industry, environmental monitoring, consumer goods, biomedicine, food, energy and transport. Applicants must have a good first degree (2:1 or better) in an appropriate Physical Science or Engineering. Applicants will normally be interviewed in small groups in the month following each deadline. Please apply by submitting a CV with a covering letter as soon as possible to Prof Ian Underwood at [email protected].